06:00 – The Friday Edition - An Act of Kindness. My attempt at being more philosophical! 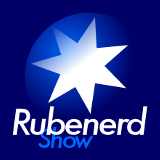 Older post → Rubenerd Show 011: The hyperactive caffeine episode! !